A cute and stylish shelving system will always make our home clutter-free and lightens a bit especially if it comes in unique style like the Bike Rack Birdhouse. 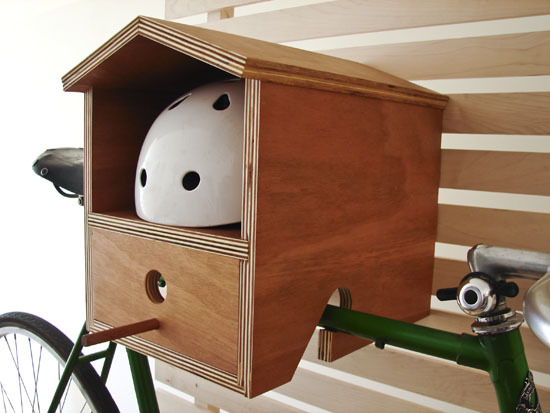 You can easily mount the Bike Rack Birdhouse in your wall and you can immediately have a secure and innovative indoor storage solution for your things like helmet and bike. 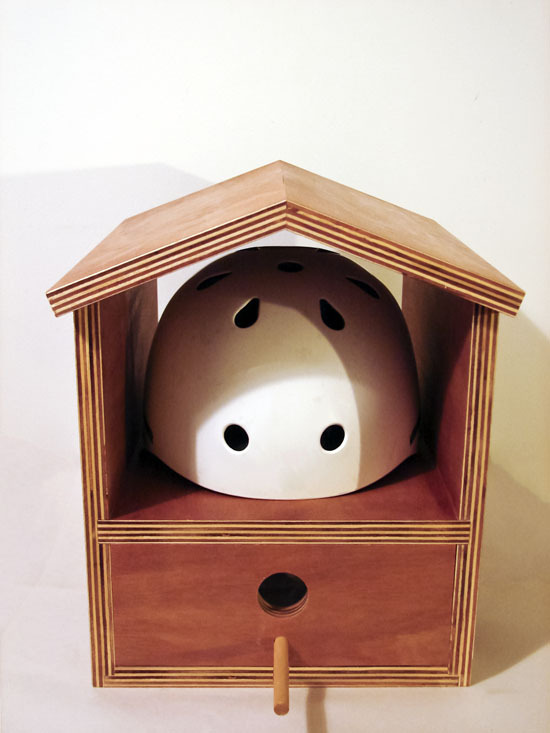 What made the Bike Rack Birdhouse eco-friendly is it being handmade of Mahogany plywood and natural non-toxic finish of materials including beeswax and linseed oil. 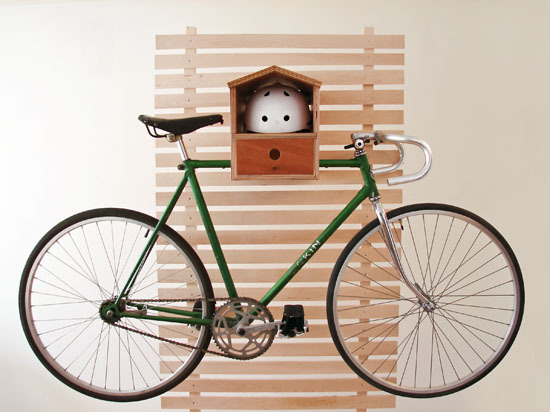 With this stylish solution, your bike will not be cluttering your garage anymore but doubling as your eco-friendly décor at home. Thanks to the Bike Rack Birdhouse.